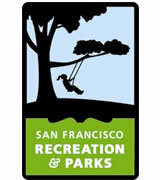 Stow Lake has been providing families with a fun outdoor experience since 1893. Get out and enjoy nature, rent a boat or just relax and indulge in a healthy snack. No reservation needed. Our café offers healthy, locally-sourced food and now serves beer & wine. Give a gift that's unique and fun! A trip to Golden Gate Park isn’t complete without a sojourn to Stow Lake Boathouse. Join us for a relaxing boat ride that will transport you to an idyllic retreat in the heart of San Francisco. Share time with friends and family at our nostalgic boathouse café. Invite the peace of nature to your day with an excursion to one of America’s most visited city parks.